To me, there is nothing more relaxing than spending an afternoon baking. The conditions have to be just right (i.e., nowhere to go later, all the ingredients in the fridge, house should be reasonably clean, etc.) but when they are, it’s just….bliss! 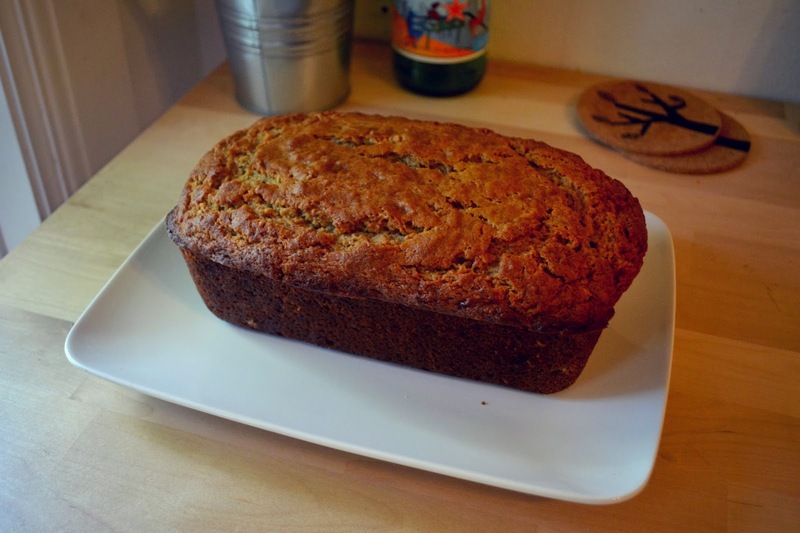 I especially love baking when I ‘have’ to, like, when we have an abundance of brown bananas sitting on the counter. On Saturday we drove to Pingree Park for a night away in the mountains, but returned very early on Sunday so Conrad could make it to work. 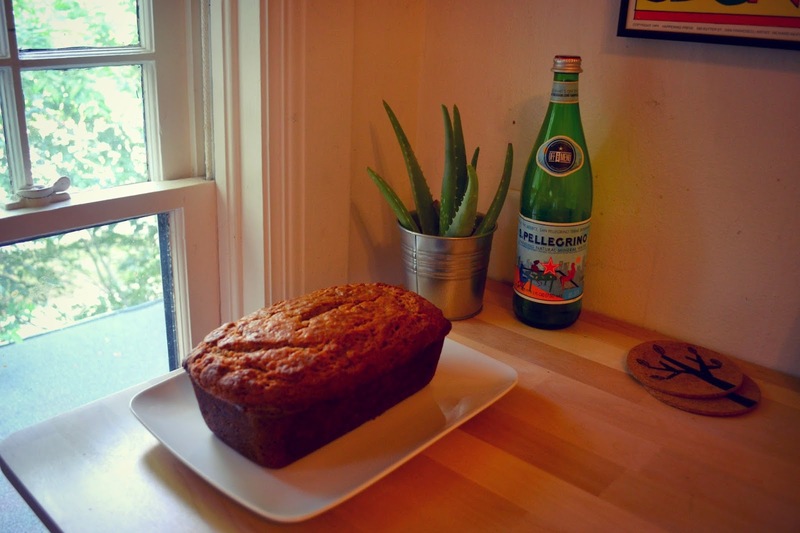 I had the entire day ahead of me with nothing but laundry to do, and decided to bake my favorite banana bread recipe. I used this recipe, which I’ve used before and absolutely LOVE. In a medium size bowl, mash bananas until creamy and stir in lemon juice. Set aside. In a medium size bowl, whisk together flour,baking soda, baking powder, cinnamon, and salt. Set aside. In a large bowl, cream together the butter and sugars. Add in the vanilla extract and buttermilk. Add the dry mixture into the wet mixture. Stir just until the flours mix is combined with the wet mix. Bake on center rack for 1 hour and 10 minutes. Cooking times may vary. Check on bread at the 1 hour mark. Toothpick inserted into the center should come out clean and bread should be golden on the outside. 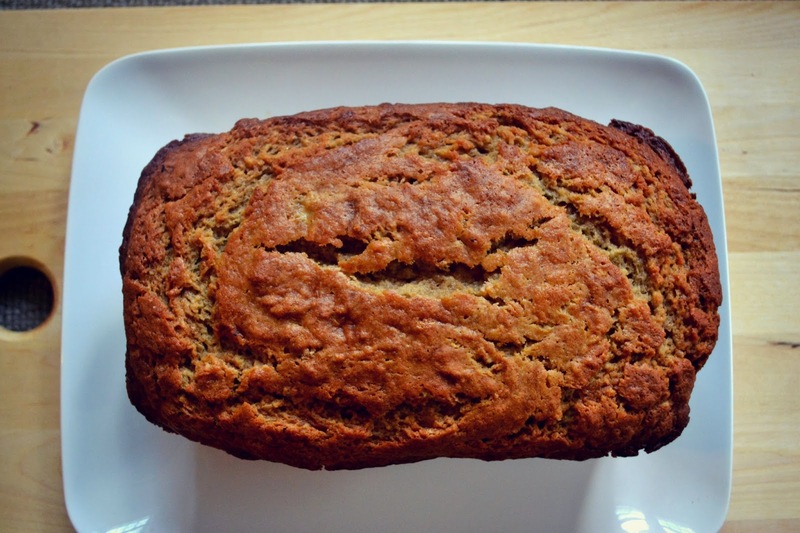 Put on the kettle, slice, and enjoy! 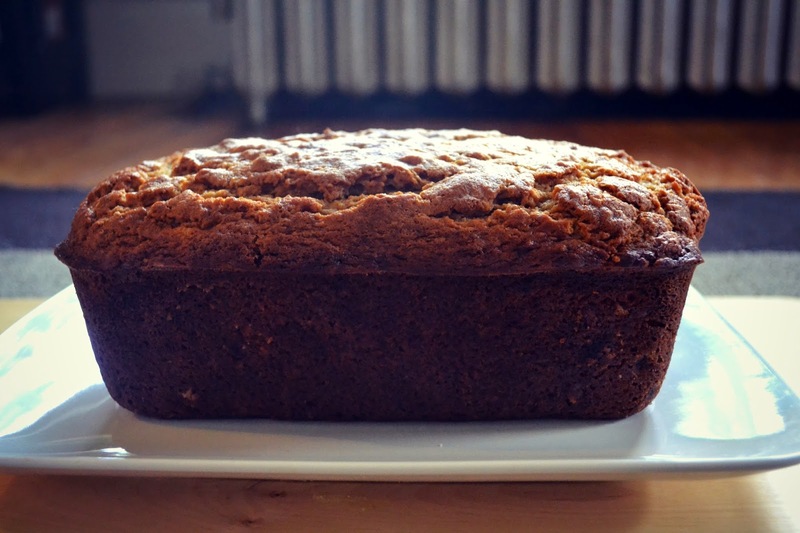 Warm, moist, crumbly, and dense. SO delicious. To make it even better, add a cup of chocolate chips to the batter! 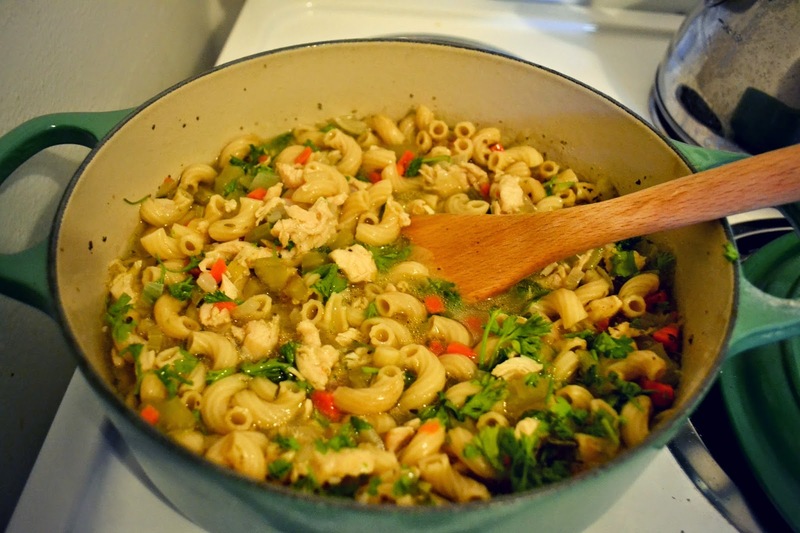 I felt so productive, I even made homemade chicken noodle soup for the week. I ❤ Sundays! Have an amazing week, everyone! Yum!! 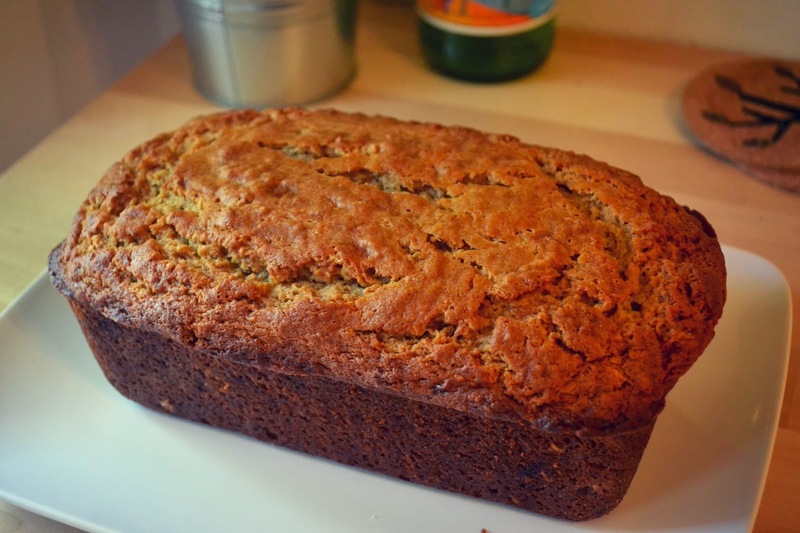 I love banana bread! 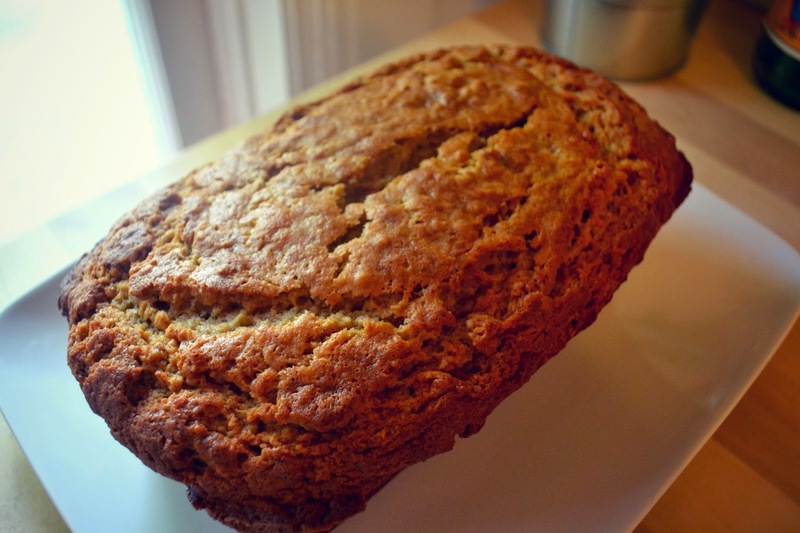 Banana bread is pretty much abundant where I live but I would love to make some at home! Thank you for sharing! 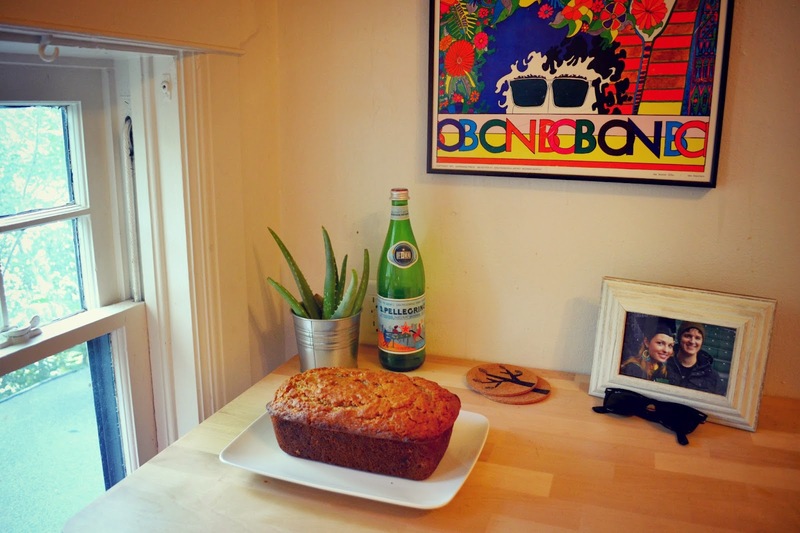 Katherine, where do you live that banana bread is so abundant??? Must visit!